It was just another day at the Pickyourtrail office. We are a bunch of travel buffs who while helping people with their dream trips, are also plotting their way through the world. Our day is typically filled with dreams. Dreams that take us sometimes to Bali, to New Zealand and many awesome international locations. Sending people on their dream trips was something we did every day. Take our young destination planner, Krish: he is a traveller by day and DJ by night. A couple of months ago, we got a very different request – Our traveller, Sahana had this dream of Tomorrowland. For the uninitiated, Tomorrowland is an electronic music festival held in Boom, Belgium and is a huge thing for music buffs. Sahana approached us with a request to help her with a trip to Belgium to attend this mega music event. Krish, our planner, was elated! As planning goes, we give our travellers more than just flights, stay and an itinerary. Our smart online platform that gives travellers the option of planning their own trip to their tastes: right from planning cities to experiences, you can do it all yourself. Once your trip is planned, we don’t forget you, planners like Krish keep giving you tips on the destination you are headed to and plenty to read from our blog. Most importantly, our mobile concierge ensures that we shadow travel with you for a hassle free experience. Tomorrowland starts July and goes for two weeks and when Sahana arrives at the venue, she will be prepared with not just an itinerary to Belgium, but also with a detailed concert itinerary. See what Krish planned for her! We didn’t get to see Sahana smile when she saw this, but well, you get the happy picture! 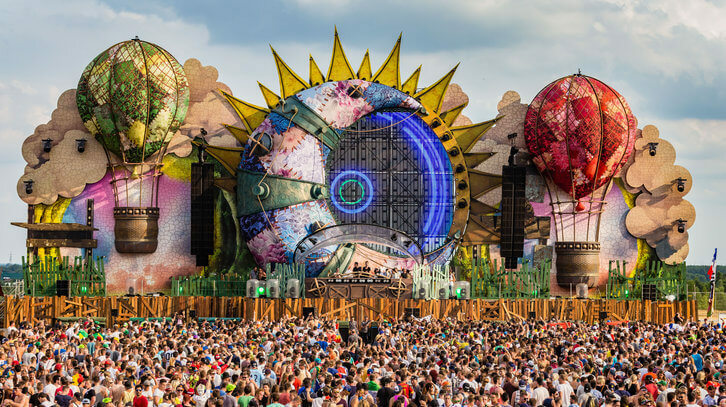 If you are headed to Tomorrowland, our cheat sheet on artists playing there and an itinerary are just a click away. Oh yes, thank us later! If you are looking for the next big festivals to go to, here are some from across the world that you should keep a watch on. Where to go in January – best places across the world!